I love the diagonal paper strips! I love how you placed the view reels and negative frame behind your sweet photos! Such Cute photos! Love the diagonal design of the background with the cameras! 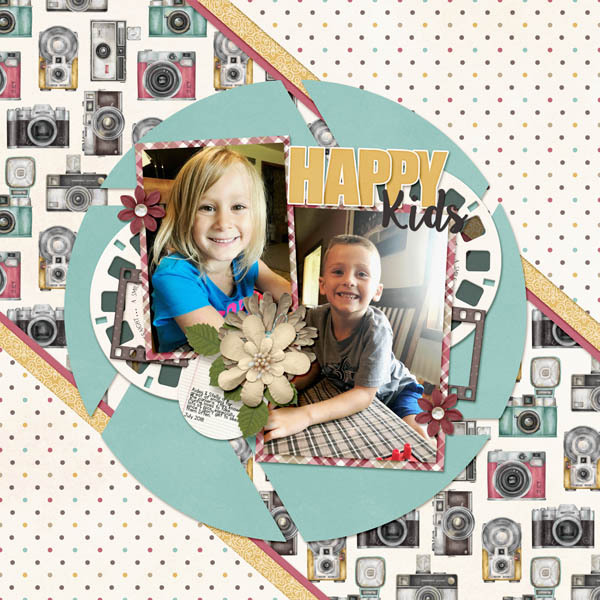 fun page - love the cameras and photo reels to frame the cute pics of the kids! oh such a sweet layout!! Love the diagonal flow of this layout, the vintage camera paper and the overall feeling, flow is just wonderful!